Spectacular private homes, beautifully furnished and landscaped, for 2 to 10. Call 1-800-424-6641. 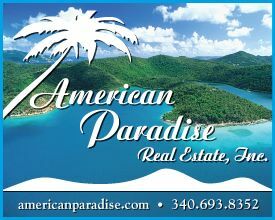 New 3 A/C BR, 3 BA home in Coral Bay. 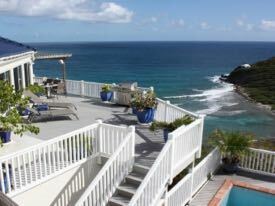 Convenient to beaches and town, covered decks, private pool, wifi, awesome views. St. John’s premiere shopping & dining destination - unique Caribbean architecture in a tropical setting. 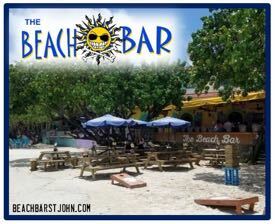 The Beach Bar is now open! 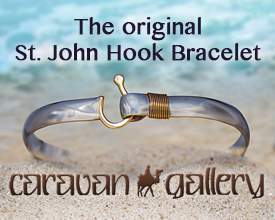 Check us out on the beach starting at 3 p.m.
A collection of exotic gifts, affordable & fine jewelry and authentic artifacts from around the world. Stay at the newly renovated Westin Resort for less. Enjoy ALL resort amenities & Heavenly beds at this tropical paradise. Sunset Cruz: Last Minute Special! 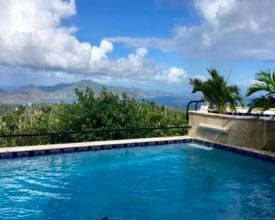 A 4-bedroom villa with sweeping views of the Caribbean, St. Croix, St. John's South Shore & National Park - Large pool & great rates. 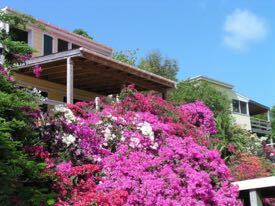 Award Winning Italian Cuisine Located in Cruz Bay for 32 Years Dine In, Take Out or Curbside Pickup. 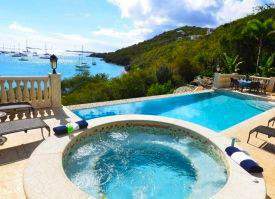 Completely renovated, 4 bedroom, 4 bath villa overlooking Friis Bay. 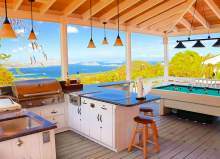 Large pool, outdoor kitchen & stunning Caribbean views. Today we’d like to tell you about an exclusive business on island that caters to those looking for an ultra-luxurious vacation, yet prefer to have the details settled prior to their arrival – Blue Sky Luxury Concierge. Blue Sky is dedicated to providing individuals and corporations with the highest quality of service. Simply put, its mission is to go above and beyond its client’s expectations. 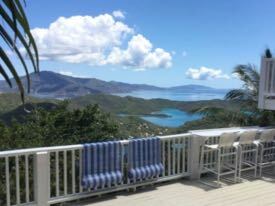 With over 25 years of experience in the U.S. and British Virgin Islands, Blue Sky creates once-in-a-lifetime vacation adventures. Their custom-made itineraries are filled with fun, adventure and relaxation and their concierge services are little to no extra cost to their clients. Below are some of the services they offer. Need something not on this list? Reach out to Blue Sky. Chances are they can help. 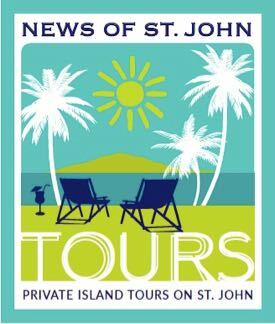 Private or group land tours around St. John and St. Thomas. Blue Sky is also a premier Destination Management and Event Planning Company with over 15 years experience producing events ranging from small intimate parties to large-scale corporate events and worldwide tours. They have access to all musical talent so arranging an unforgettable birthday party with your favorite artist is also possible with Blue Sky. Their local knowledge, resources and network of partners means they can turn your dreams into reality. 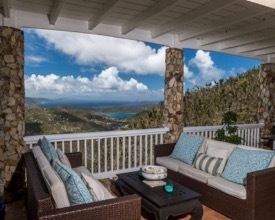 Just last year, Shanna also expanded Blue Sky to provide global luxury concierge services beyond the USVI. This includes helping families plan trips to Italy, Aspen CO, Charleston, SC and more. (finger snap), (finger snap)…..uh excuse me, Sir? More champagne please. And for Heaven sake turn down this jet’s AC. It’s dreadfully cold in here. And please do find out where my manicurist/massage therapist is….he’s already 3 minutes late. And lastly, please tell Mr. Chesney to lower the volume back there. My Todd and Tiffany are trying to sleep! What a nice article on Shanna’s BLUE SKY CONCIERGE SERVICE. 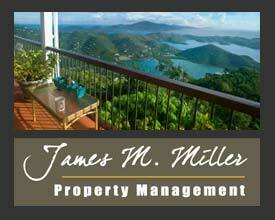 I oversee several villas on STJ and have worked with Shanna and so many of her services. What was not mentioned in your article was BLUE SKY’s PROVISIONING SERVICE and I believe it deserves mention. Guests who had BLUE SKY provide provisioning arrive at the villa and everything they need is stocked and beautifully displayed. For guest who don’t avail themselves of this service usually have to make their first trip to the grocery store, instead of to the beach or jumping in the pool after their travel. Also, many of our guests use BLUE SKY’s CONCIERGE SERVICE to book day trips, massages, restaurant, events, excursions, all at no extra charge. Many of our local charter companies have benefitted from BLUE SKY bookings. Shanna has really made so many of our villa guests enjoy their vacation in paradise even that more meaningful. BLUE SKY will make your day! Hi Shanna! We have used Blue Sky on several trips! Great service! Hi Debra! Thank you! 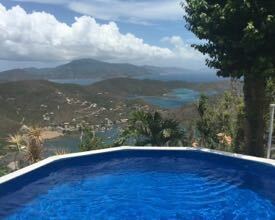 When is your next trip to STJ? 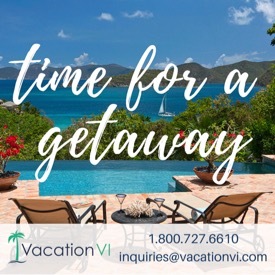 This is a great time saver for busy people who wish to maximize their time spent actually vacationing while leaving the planning legwork to the professionals who have all the best connections on speed dial. 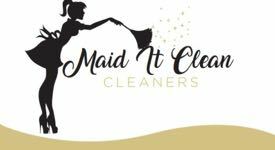 I have had guests of all budgets use Blue Sky and all have been thrilled with the attention to detail that this company ensures. Highly recommend! It amazes me that some people need other people to do EVERYTHING for them. Is it so hard to dial Rhumb Line on your own cell phone to make a dinner reservation? 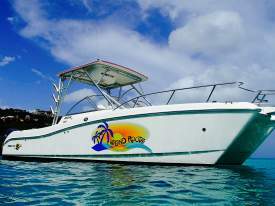 Or stop in at Cruz Bay Water Sports to to inquire about a snorkeling trip? And Steve Black, it’s so sweet that they “provide provisioning” whatever THAT means, but I’m completely capable of stopping in Starfish or Dolphin market for a little grocery shopping before heading to my villa in the rental car that I, all by myself, filled out the paper work for. I wonder if they tuck you in at night as well? I totally agree BeachBum. 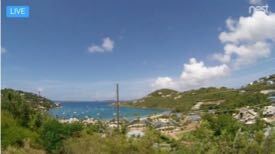 The first 15 years I went to STJ I stayed at Cinnamon Bay Campsites. As a single Mom that was what I could afford. And can you believe it? We actually did everything ourselves – haul our luggage down to the cabins, buy “provisions” make our beds, wash our dishes, etc,etc. We also did swimming, hiking snorkeling, etc. It all became part of the CBC routine. And guess what? We LOVED IT! My kids, now grown talk about following the “tradition” with their own kids. But there ARE people out there for whom vacation means sitting around doing nothing but snapping their fingers and who don’t want to “waste time” dealing with the local folk. I guess for them Blue Sky is a good service. Why the hate Beach Bum? It comes across as sour grapes. Better luck next life. As for Blue Sky, Shanna works super hard and does a terrific job. Some people don’t want to waste their precious vacation time standing in line at Starfish, or scour the multitude of charter boats offering day sails on the internet trying to figure out which one is best for them. 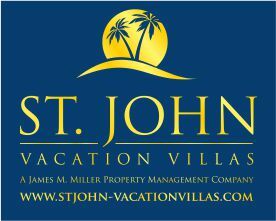 Most hotels offer concierge services, but a large segment of John’s vacation rental market is villa rentals. 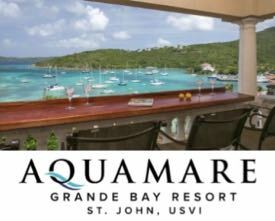 A private concierge really fills a niche here, for vacationers who don’t really know the area but still want to experience the best of what St John has to offer. Shanna will go above and beyond to ensure her clients receive the experience they desire. Keep up the great work Shanna! Dave, no hate at all in my opinions and feelings on this topic. I’m just one of those guys that don’t rely on others to do things I can easily do for myself. I don’t mind standing in line at Starfish for 5 or 10 minutes while I engage in conversation with those around me. You should try it sometime. You’d be amazed at the interesting people you meet. As far as your comment “Better luck next life”……I just had to chuckle at that one. I’m only 56, fully retired with a great pension, have a beautiful (inside and out) wife, 2 great kids, all grown up and successful, soon to be a Grandpa, take a trip about once a month…..shall I go on? Buddy, I wouldn’t trade my life with anyone! I’m very happy and fortunate. Lastly, I wish Shanna all the luck in the world. I hope she’s happy and makes a ton of money. Her business just isn’t my cup of tea is all. Peace. St. Johnopoly: Get Yours Today! 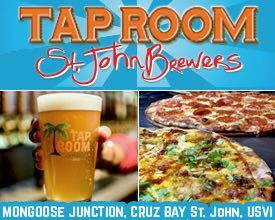 It's Monopoly, But For St. John! Customized Game Board, Cards, Tokens, Money & More Get Yours Today! White Sand Beachfront House In the Heart of the National Park Stunning Views, Very best location 1 bedroom apt from only $275/night. Rated #1 on TripAdvisor Over 900 5-Star Reviews You Choose the Cruise! Call (340) 642-8522 to book! Build faster, smarter, easier. Your one stop shop for all your construction, remodeling, and maintenance needs on St John. 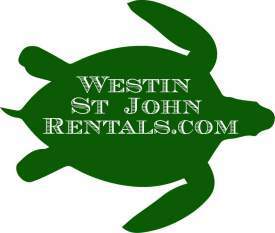 1 of STJ's Longest Running Charters Experienced & Knowledgeable Snorkeling is Our Specialty! Now Open! 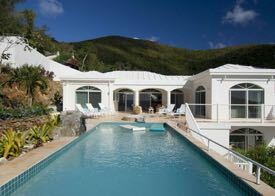 Awesome Vacation Rentals for Independent Travelers. Book directly for the best rates. TripAdvisor Call 340-776-0928 to book your day! 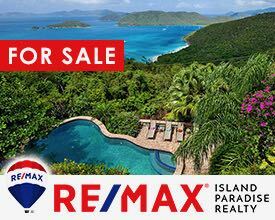 Spectacular 3 bedroom/ 3.5 bath luxury villa w/ stunning views of Fish Bay & beyond all the way to St. Croix. Contact Catered To to book. 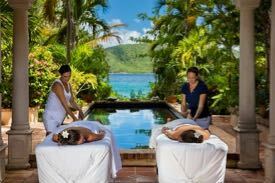 Customizable Private Excursions In the US and British Virgin Islands Join the Adventure! Knowledgable Local Captains "International Express Clearance"
Indulge in your very own personal spa experience in the comfort of your private home or villa, or at our office. Kevin on New Webcam Alert! Eduardo on New Webcam Alert! Jo Simmons on New Webcam Alert! Donna Broderick on She’s Back. Copyright © 2019 News of St. John. All Rights Reserved. Magazine Basic created by c.bavota.